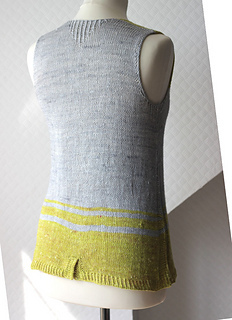 Caesura V is a summery, sporty sleeveless top with a generous A-line shape. And it’s a FUN (slightly odd) construction. A-line-ish anyway. There are no waist decreases only increases. 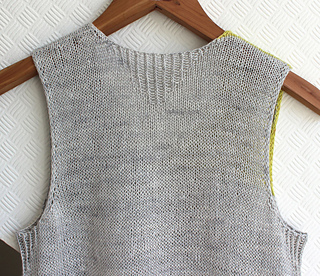 Worked in DK weight Caesura V knits up fast so you may need a few in different colour combinations. Like any true Ziggurat Caesura V is knitted from cast on to cast off in one big zig-zaggy sweep from beginning to end, except here there is a caesura, a brief pause — a single cut of the yarn to make things just a bit easier, and less obsessive. 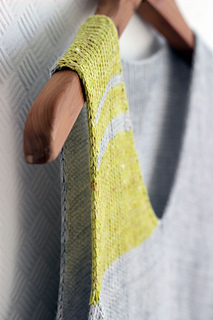 It’s still all knitted in one piece with special attention to finishing and small details. As usual. Step-by-step instructions, sketches, and photos show you how to get from start to cast off, and how to work the special manoeuvres. 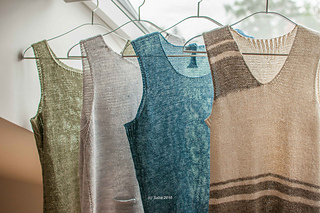 The pattern is written and has helpful charts to keep track of rows and shaping, and tips for how and where to lengthen or shorten the armhole. Sample size 38 required precisely 1 skein of CC. 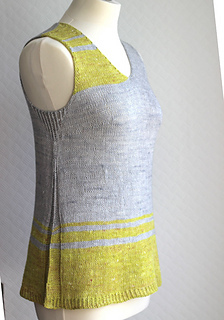 It’s possible to knit also sizes 40-46 using only 1 skein of CC, if you start the striping sequence just a little bit later. And/or make your Caesura V a little bit shorter. Or both. 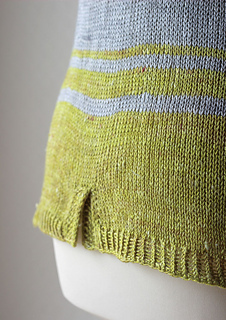 To find out what’s up my knitted sleeve, you may sign up for the occasional Åsa Tricosa Newsletter here.